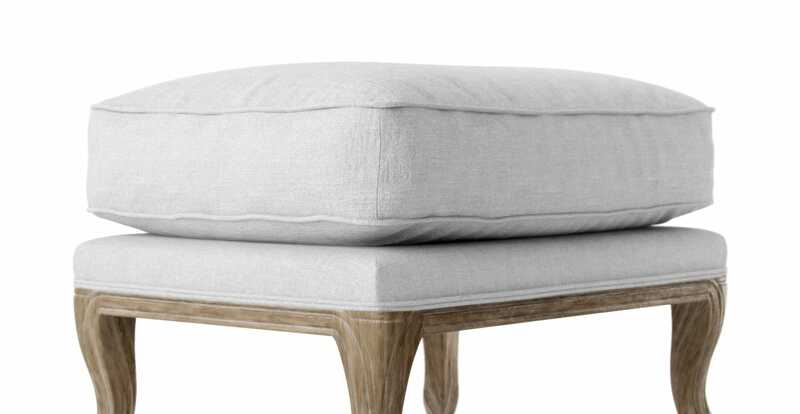 The Philippe Ottoman is a gorgeously versatile designer piece that can be worked into a range of interiors. The Ottoman has been made to match the equally exquisite Philippe Chaise Lounge, which comes in a matching design and colour range. 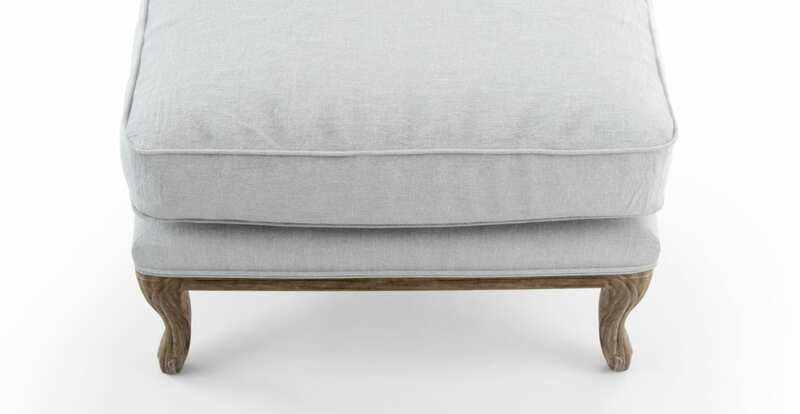 The Ottoman is available in a beautiful variety of colour options, from classic neutrals to contemporary standout shades. Find the perfect hue for your home, and choose from either Brosa's Signature Premium fabric range or luxuriously soft Warwick Mystere Velvet. 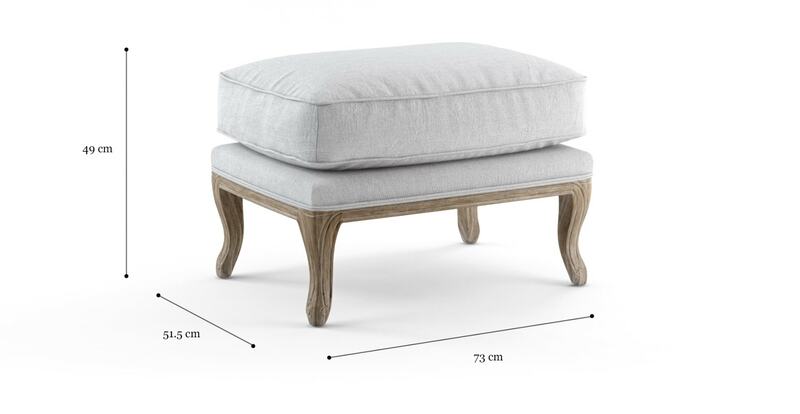 The Philippe Ottoman has a perfectly plush filling, with just the right amount of feather cushioning and bounce. The look is accented by delicately curved and tapered Oak legs, which have been finished with a classically timeless look. 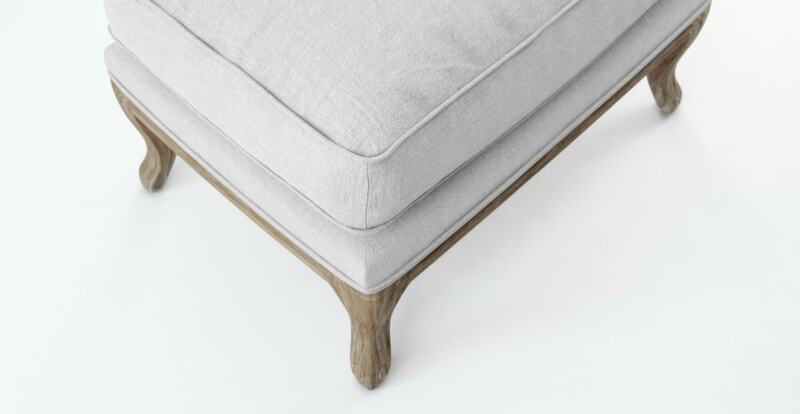 The solid oak frame of the ottoman has been strength tested for the ultimate quality and longevity. With high quality and timeless style, this is a piece that will be around for generations to come. Great price, good value for furniture , I purchased 2 Provance 3 seaters, 1 chair and still to come 1 footstool. It takes approximately 3 months, but this applies to most furniture purchases as they just about all come in from overseas. My husband and I are extremely happy with our choice and would purchase again if the need arises , thank you Jill Boegman. See, touch and feel our fabrics used on our Philippe Ottoman. For Free! Simply select up to 3 fabrics and add them to your cart. Delivery is on us.